This is the nineth CD by the the Swiss composer and drummer Heinz Geisser in the Leo Records catalogue — in 1992 he established his Collective 4tet with William Parker and other stalwarts of New York's downtown. 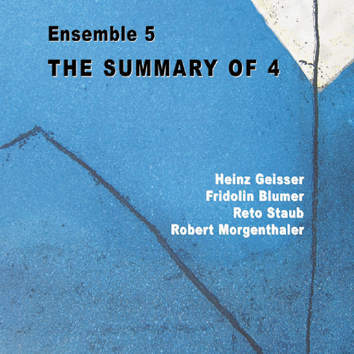 The Summary of 4 was recorded after an eight-concert tour of Japan. Famous for its extraordinary intuitiveness the group was especially tight. Reto Staub - piano, Robert Morgenthaler - trombone, Fridolin Blumer - bass and Heinz Geisser - drums, percussion.